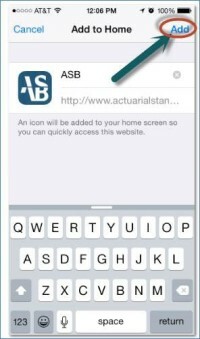 Home - Actuarial Standards BoardActuarial Standards Board | The Actuarial Standards Board (ASB) establishes and improves standards of actuarial practice. These Actuarial Standards of Practice (ASOPs) identify what the actuary should consider, document, and disclose when performing an actuarial assignment. The ASB’s goal is to set standards for appropriate practice for the United States. The ASB recently approved an exposure draft of a revision of ASOP No. 2, now titled Nonguaranteed Elements for Life Insurance and Annuity Products. The standard applies to actuaries when performing actuarial services with respect to the determination and, if applicable, illustration of nonguaranteed elements (NGEs), except where noted in the standard, for life insurance and annuity products written on individual policy forms where NGEs may vary at the discretion of the insurer. The standard also applies to group master contracts with individual certificates where NGEs are determined in a similar manner to products written on individual life and annuity policy forms. Examples of products within the scope of the standard include universal life, indeterminate premium life, and deferred annuity products. Such products may be fixed, variable, or indexed. Notable changes from the existing ASOP include clarification to the scope, expansion and clarification of definitions and guidance, and the introduction of the concept of an insurer’s NGE framework, which includes the determination policy, how policy classes are established, and the practices used to determine NGE scales. The comment deadline for the exposure draft, which can be viewed under the “Drafts” tab in “Current Exposure Drafts,” is June 1, 2019. is July 15, 2019. Information on how to submit comments can be found in the draft. The ASB recently approved an exposure draft of a revision of ASOP No. 22, Statements of Actuarial Opinion Based on Asset Adequacy Analysis for Life or Health Liabilities. The standard applies to actuaries when performing actuarial services with respect to providing a statement of actuarial opinion (SAO) related to asset adequacy analysis of life or health liabilities, when the SAO is prepared to comply with applicable law based on the model Standard Valuation Law and VM-30 of the NAIC Valuation Manual, or when the SAO is prepared to comply with other applicable law. Changes to the exposure draft include revising the purpose and scope in sections 1.1 and 1.2 from applying to actuaries when providing a SAO for life and health insurers to applying to actuaries when providing a SAO relating to asset adequacy analysis of life and health liabilities. The title of the ASOP was changed to reflect the changes in purpose and scope. In addition, references to Actuarial Compliance Guideline No. 4, Statutory Statements of Opinion Not Including an Asset Adequacy Analysis by Appointed Actuaries for Life and Health Insurers, were removed because the current Standard Valuation Law requires all reserve opinions to be based on asset adequacy analysis. The comment deadline for the exposure draft, which can be viewed under the “Drafts” tab in “Current Exposure Drafts”, is June 1, 2019. Information on how to submit comments can be found in the draft. The ASB recently approved a fourth exposure draft of a proposed new ASOP titled Modeling. The proposed ASOP will provide guidance to actuaries in any practice area when performing actuarial services with respect to designing, developing, selecting, modifying, or using all types of models. The third exposure draft of the proposed ASOP was released in June 2016. Twenty-eight comment letters were received and considered in making changes that are reflected in the fourth exposure draft. Changes made to the fourth exposure draft include clearer accommodation of other forms of modeling (such as predictive and statistical modeling) different from those of financial projection modeling; a revision of section 1.2., Scope, to remove the concept of “simple models”; and inclusion of new section 3.4, Reliance on Experts. The comment deadline for the fourth exposure draft, which can be viewed under the “Drafts” tab in “Current Exposure Drafts”, is May 15, 2019. Information on how to submit comments can be found in the draft.